At the end of last month, Tesla boss Elon Musk held a party in South Australia’s mid-north. It seemed premature, but Musk was typically confident. Construction on what will be the world’s most powerful lithium ion battery was going well. It had to. 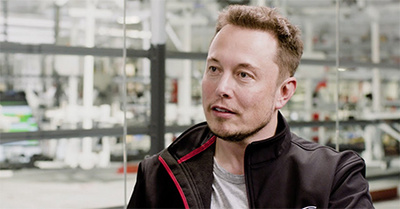 Musk has made a self-testing gamble with the South Australian government: complete the project within 100-days and duly be compensated for it, or build it for free. This is the sort of technology gambit EM delights in, even if it risks putting him $50 million out of pocket. Should all go well, the battery, once connected to the grid, will be operational by December 1, storing energy from French renewable company Neoen’s Hornsdale Wind Farm near Jamestown. The contract between Tesla and the South Australian government stipulates that, “The facility will provide services to maintain power system security, integrity and stability for the South Australian electricity network, prevent certain load shedding events, provide supply during critical peak periods and participate in ancillary services and wholesale electricity markets”. Truly, a tall order, though scale is something that has never troubled the billionaire. The experiment is both dazzling and troubling for the energy-confused politicians who find themselves incapable of dealing with Australia’s energy woes. In a country where energy prices, be it electricity or gas, are astronomically high; where supply is questionable and more than occasionally interrupted during the high points of summer, the brains trust has proven skint. The only state to attempt to challenge the continent’s troubles is South Australia. That plucky, often neglected entity within the Australian commonwealth has also paid a price, having faced blackouts in September last year. These have, in turn, become highly politicised events, seeing the state singled out by lovers of coal and natural resources for being fundamentalist in greening the grid. Be it the former Australian prime minister Tony Abbott, or his deposer, Malcolm Turnbull, South Australia is seen as an example to avoid, rather than emulate. Certainly, Musk admits to an element of doubt, even if small. “There is certainly some risk because this will be the largest battery installation in the world by a significant margin”. Far from being deterred, efforts are being made from Adelaide to adjust and adapt. This is a crisis abundant with opportunity. Forget smug Victoria and brash New South Wales, the most populous, and supposedly more “advanced” of Australia’s family of states. South Australia, always a curious aberration of Australian development, will take the colours of innovation. In addition to a gas-fired plant comes Musk’s 100-megawatt battery. The latter’s strength lies in its stabilising potential, shoring up shortfalls when required. The other troubling catch in this is not merely the echo of utopian, spellbinding confidence. Dealing with wealthy moguls and creatures of business on such a scale can make the populace jittery and anti-corruption watchdogs nervous. When parliamentarians choose to throw in their lot with cocksure businessmen, certainly Musk’s clout, rewards can sour. The Murdoch press, never to pass up an opportunity to target anything environmentally friendly, has eyes on the project. The value of the contract, for instance, has not been disclosed. Business information of a confidential nature has been kept under wraps, though there is that nagging issue of public accountability. Were the premier, Jay Weatherill, to not disclose “how much public money he is handing over to a foreign billionaire” the contract might risk, ventured Chapman, being investigated by the Independent Commissioner Against Corruption. Musk is far from worried. He has a world to remake, grids to electrify, territories to save. While the Labor government in South Australia faces probing questions about deals with the energy devil, Musk is being pushed on another project: re-electrifying hurricane ravaged Puerto Rico. “Let’s talk,” suggested the territory’s governor Ricardo Rossello, keen to take the solar energy and storage route. Musk seems more than willing.